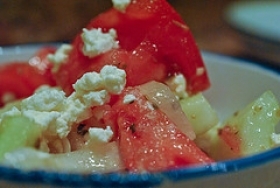 Have you made Cucumber and Tomato Salad? 1. 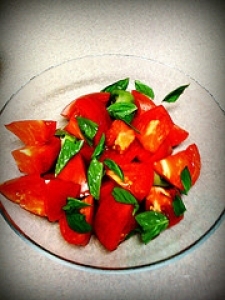 Cut tomatoes into 10 wedges. 2. 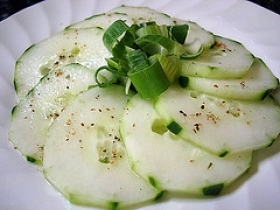 Pare the cucumber; cut it in half lengthwise & then in thin slices. 3. Cut onion in half lengthwise & then slice paper thin. 4. Put the onion slices into a bowl, sprinkle with salt & squeeze in the palm of a hand. 5. Rinse & pat dry. 6. 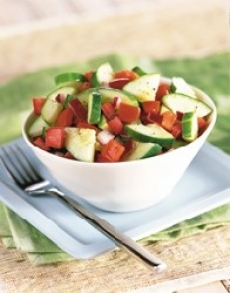 On a platter, arrange in succession rows of tomatoes, cucumber slices & onion pieces. 7. 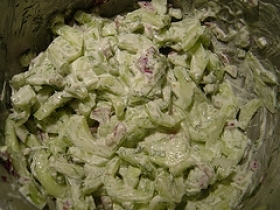 Sprinkle with the dill, salt & chili pepper. 8. 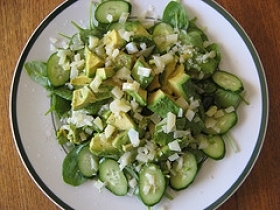 Mix vinegar & dressing & pour over the salad enough to moisten it well. This leaves out some ingedients. Where does it say how much chili pepper? 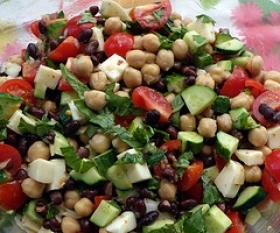 Mix vinegar and what dressing? The instructions skip some points in preparations. 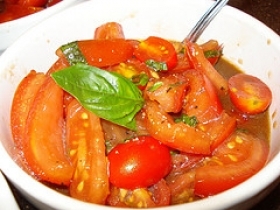 This recipe contains potential food allergens and will effect people with Tomato, Sulfites, Spring Onion, Natural Sweeteners, Cucumber, Vinegar, Onion allergies.